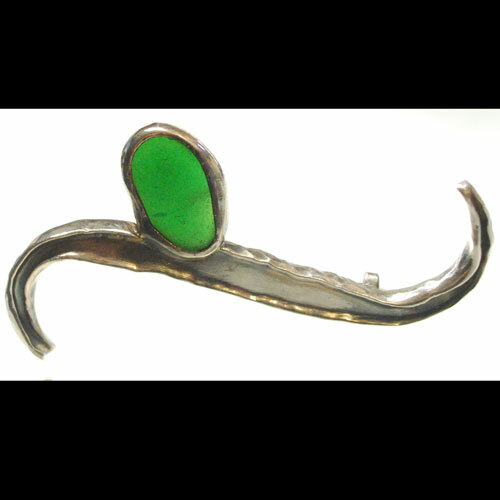 This forged sea glass brooch features very dark green almost black in appearence piece of Davenport California sea glass set in a silver bezel. (Pictured in bright light.) The backside of the sea glass brooch has a hammered sterling silver pin. The brooch measures ~2x 7/8"